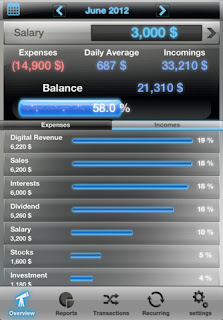 Budget Balance for iPhone ~ Android Forever! 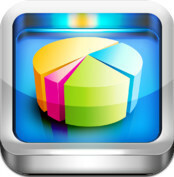 Developer Quote: "Budget Balance is the ultimate tool for Budget Management. Stay on top of your expenses, incomes and salary requirements and detect potential problems well before they arise. 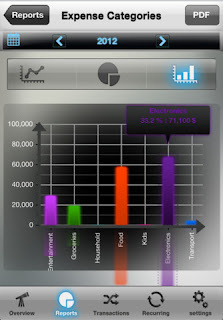 keep management for your salary , incomes and expenses with just a few clicks." So you're coming to the end of 2012 and you realize that you're finances are a mess, you've no idea how much you're making, how much you're spending, or why there's so much month left to go at the end of your paycheck. It's time, high time even, for you to start being responsible and taking control. Do I sound like your dad? Sorry. But maybe it really is time to get an excellent, easy to use and attractive (and inexpensive - you are trying to do something about your spending, after all) iPhone app to help you find a way to turn things around. - Simple clicks for entering transactions. - Locate transactions on a map (which helps determine all transactions locations). - View transactions by day/week/month/year. - View transactions by location. - Simple clicks for entering recurring transactions. - Easily track expenses/incomes/salary and balance. Click the icon below to download from iTunes!